Son Brent asked me to attend Maryland Day at the University of Maryland today with him and his daughter Avery. The catch is that I needed to be at his house by 9:00 am. I stayed at the truck stop way in western Maryland last night with 2 hours and 45 minutes left to go. I woke at 4:30 am and after filling up with gas I was on my way by 4:45. I don't normally drive in the dark on my travels since there isn't anything to see. Well today I found myself driving in very dark conditions with a heavy overcast that came in made it darker. 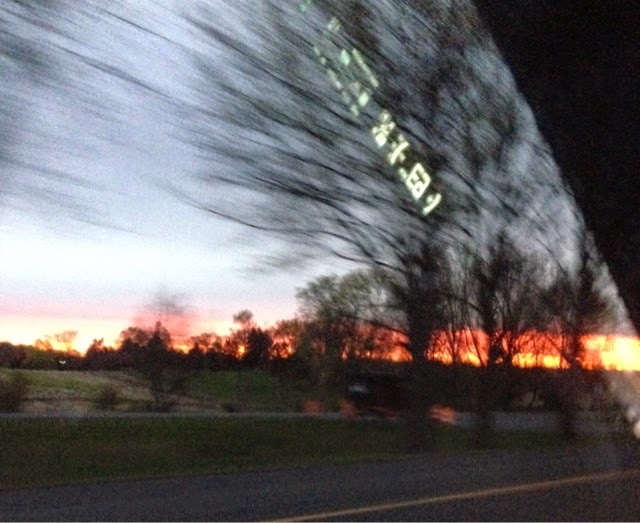 The above photo was my first view of morning light as I traveled wast in I64 before it merges to I70. My son had visitors at the house overnight and not wanting to be too early I was stopping at McDonalds down the stret to publish yesterday's blog. 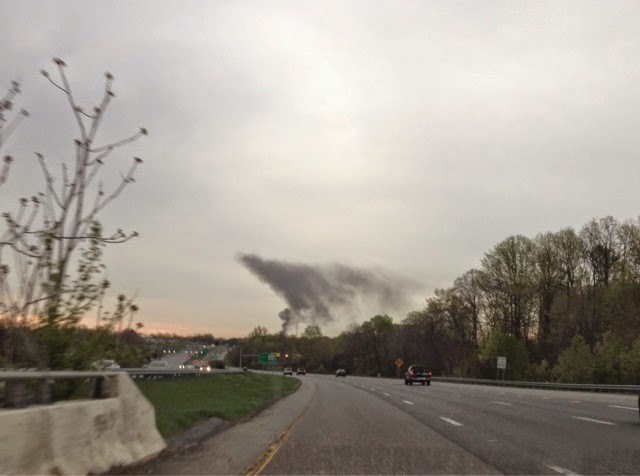 As I was driving east on MD175 I had to wait for fire apparatus responding to a call tripping the traffic light holdings traffic. When we got to head east again I could see what they were responding towsrds in the distance in the area of Jesup, Maryland where MD175 and US1. I could imaging it may be a vehicle fire. Now with my blog published it was time to see my son and family after 3 months as this was my first day stop when I started my 2015 Travels. My two Granddaughters are 3 and 8 months so you can notice how they have changed. Avery the oldest remembers me but she has grown some Norah didn't recognize me so I have short of a week to spend time with her. After the warm welcomes the three of us were off to the University of Maryland. It is going to be cloudy and cool. All day with rain later. Brent gets a text that one of his friends saw some snow flakes in nearby Columbia, MD. I'm sure that most of the followers of this blog know I do not like the cold and when we arrived for Maryland Day it was raw outside. 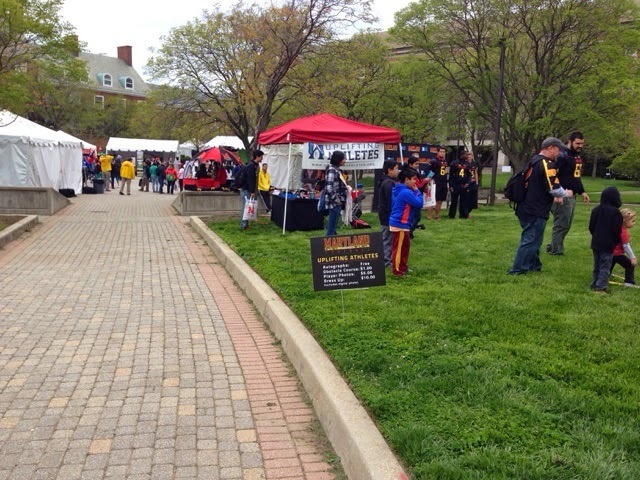 Maryland Day is basically a campus-wide open house where people explore exhibits from agriculture to Enginnering to technology and so on to sports and fitness. Companies help sponsor the event and government agencies also have public safety activities. There were also many food vendors. The college has a large campus and is used to handling large crowds when they fill their stadium for football games. Today's event with many thousands attending they handle it very well. 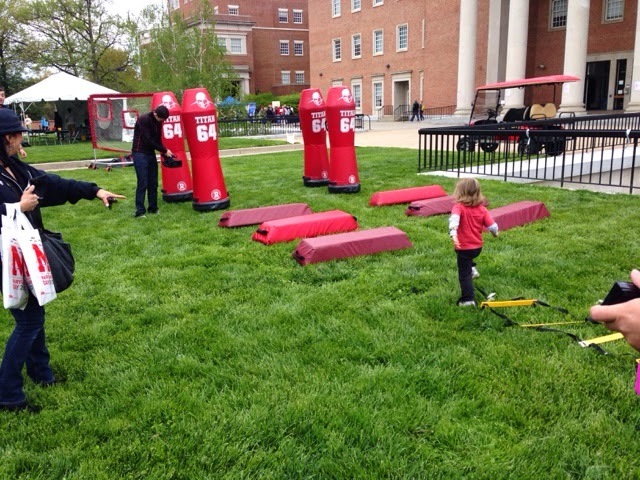 Here Avery takes her try at the football team's obstacle course. After this she got a team poster and went into the team tent and met the players and got their signatures. Her dad takes her to the Terps games at the college. 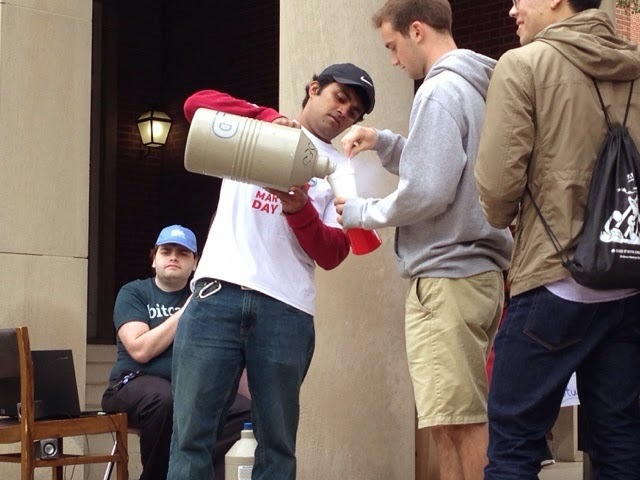 Later we stood in line to get our liquid nitrogen ice cream. 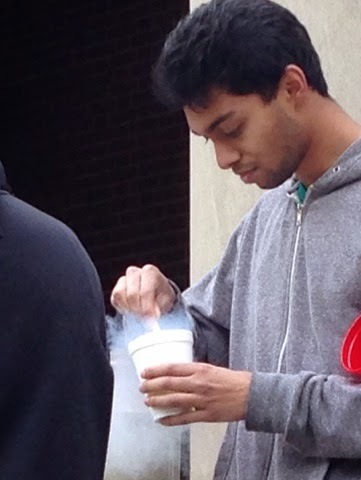 The science students put liquid vanilla ice cream in a foam cup and while you hold the cup you are to stir it after they pour in the liquid nitrogen. I'm already cold even though I have layers on,, but the student pouring liquid nitrogen intoy cup filled it up and some spilled out onto my hand and I it hurt. It took a long time for my nitrogen to boil off leaving me with a very hard mads of ice cream that stuck to my tongue. You can see the vapor coming from this person's cup. I am having problems with my phone and will check with the Apple Store this week. 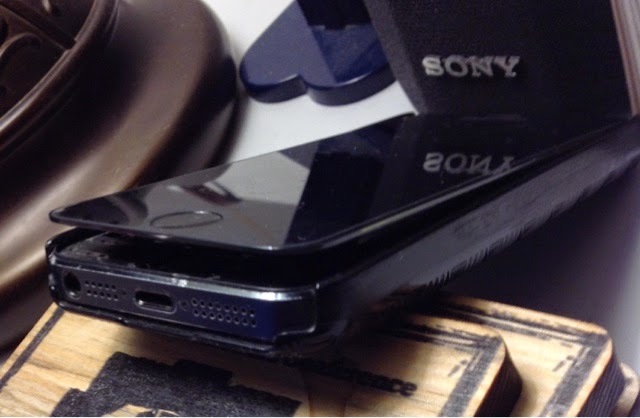 My problem is that just over two weeks ago my phone's screen started to separate at the bottom. When it's cold at night the gap tightens and the warmer it is the more it widens. I am still publishing the blog from it but it's getting difficult to take out and use as I don't want to break the screen totally off hoping I can get a reasonable repair. This means that I have limited taking pictures too. The whole phone also needs to be wiped as the memory management isn't working well. I have to clear cash often. I will have one memory number before a hard rest and it will be half after the boot. I have resulted in deleting things to get by until I get home. At least while here in MD I can take a picture like the one of my phone with my iPad and then mail it to my phone to use it. Last night was Girls night out for Brent's wife Manina so Brent and I took Avery & Nora and went to an Italian Restaurant.